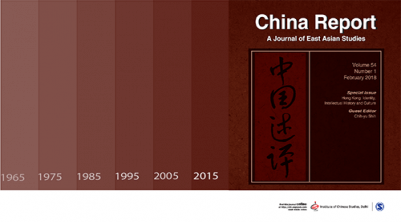 This issue contains two articles on the Communist Party of China and its functioning. The first, by Kjeld Erik Brødsgaard, shows how the CPC has transformed itself from a mass party to an elite party. 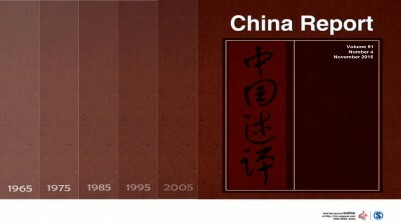 It argues that there is a need to make study of the revitalized and strengthened CPC an important part of contemporary China research again, and to apply relevant theories from the wider social sciences in doing so. The article is based on the Giri Deshingkar Memorial Lecture delivered by the author at New Delhi in March 2018. The second article by Chan Fung and Sun Biyang throws light on the anti-corruption measures which have gathered strength in China in recent years. It discusses how the CPC leadership has recentralized efforts to combat corruption, and the reasons for this. It also draws attention to the more problematic aspects of this process. Of the two articles dealing with trade in this issue, the one by Fernando Schmidt-Hernandez takes as its focus the China-New Zealand FTA – the first concluded by China with a developed country. The article analyses the negotiation process leading up to the FTA to conclude that both China and New Zealand, while keeping their respective interests in mind, steered towards a middle ground in their negotiations that enabled them to reach agreement fairly rapidly. The article by Nguyen Xuan Trung, Nguyen Duc Hung and Nguyen Thi Hien uses the technique of stochastic frontier estimation for the structural gravity modelto analyse Vietnam’s bilateral trade and evaluate its exploitation of trade efficiency before and after the FTAs it has entered into, particularly those with China and India. Breaking the South-South FTA Mould: Why China 'Went OECD' with New Zealand?